888sport Asian handicap betting is becoming more and more popular with online gamblers everywhere. Asian handicap betting is a type of betting that seeks to eliminate the total number of outcomes in a sporting event, most commonly, football and in eliminating some outcomes, a more attractive bet is created, which means customers have increased odds and the bet is more appealing. The odds of Asian handicap are somewhat altered because of this. The way it eliminates outcomes is by getting rid of the possibility of the draw by giving one team a handicap at the start of the game. This means instead of there being a 33% chance of predicting the outcome, there is now a 50% chance and so a better chance of winning for the customer. What is the selection of Asian Handicap bets at 888Sport? The bet selection at 888sport for placing bets of an Asian handicap nature, the premise of which is described above, is wide and varied. It allows the customer a good range of handicaps to place on whichever team they want to yield the odds they want. At 888sport, there is a range of handicaps available for the customer to choose from. The range of these is only whole goals, whereas many sites offer half goals as a handicap and even quarter goals. The option of having half a goal or a quarter of the goal, Asian handicap 0.5 and Asian handicap 0.25 respectively, immediately eliminates the third possibility that there could be a draw between the two teams. With the full goal handicap, the team which is handicapped will always win if there is a draw between the two teams. By a draw, of course, if one team is handicapped, it is not a real draw, but if one team is handicapped by -1 goals and the other team wins 1-0, then this is a draw and the team that is handicapped will win, which still eliminates the possibility of a real draw. What are the Asian Handicap betting odds at 888Sport? The odds at 888sport are very competitive and this tends to be the case for all online companies, they all have fairly similar odds as they are in direct competition with other online betting organisations. 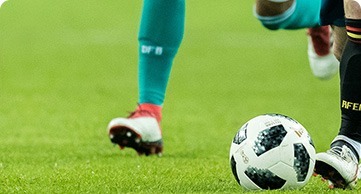 If the user chooses to bet on the team which starts goals behind, their odds are generally increased, however, the basic betting system and technique is to bet on the underdog and give them a start of a goal or two. This makes the outcome more likely to happen and depending on just how much of an underdog the team is, the odds will still be good. Does 888Sport provide Asian Handicap bets at Live Betting? Live betting has come around fairly recently and online, it is now easier than ever with so many options for the user to bet on, whilst the match is still going on. The advantage of betting on a live game, rather than placing a bet before the match has actually started is that the user can look at how the teams are playing and make a more informed decision on the result because of this. The only option for predicting the outcome of the match is based on previous form, live betting allows for a more informed decision and also better odds if the match is already under way. The best odds are achieved towards the end of the match. There is no specific “Asian handicap betting” section on the website but there are +1, +2, +3 etc. options for handicaps and these are classified as an Asian handicap because they eliminate the option for a draw because if there is a draw the handicapped team will take the win, as explained previously. Are there any special rules for betting with Asian Handicap at 888Sport? There are no specific betting rules for Asian handicap betting. The way to do it is to simply navigate around the 888sport website, which is very intuitive and easy to work. The way to start Asian handicap betting is to get online now. All you have to do is register, create an account, add some money, maybe taking advantage of a welcome bonus and start placing the perfect type of bet and win some money by using the Asian handicap.